Chinatown Wars is structured differently than previous games in the series. Instead of having a behind-the-player camera, Chinatown Wars is a full 3D Grand Theft Auto which uses a 360 degrees rotatable camera similar to the Grand Theft Auto II top-down view, albeit in a more flexible and advanced way. Chinatown Wars also uses cel-shaded polygons with black borders, unlike its counterparts. The title takes place in the Grand Theft Auto IV rendition of Liberty City, minus Alderney. The player will be able to recruit new Triad members from the streets. To initiate them as Triads, the player must tattoo them with the touch-screen. Unlike Grand Theft Auto IV, the player has to disable as many cop cars as possible to get rid of the cops instead of leaving a zone. The user interface is designed like a user interface of a PDA. There is also a drug dealing minigame, which will allow players to peddle six types of drugs around the city. Players will make a profit by recognizing market conditions and demands based on geography and plying their wares accordingly. Shootable CCTV cameras will work as this game's secret packages which will also lower the drug prices when destroyed. Recent updates had shown that top screen the game, while the lower screen will let players control elements like the PDA, GPS, the radio (mostly instrumental along with regular music), access to the people on the map, or using Molotov cocktails and grenades. Chinatown Wars applies many Grand Theft Auto IV features such as the new next gen HUD and taxi whistling supported by DS microphone. Ammu-nation makes a return in a form of an in-game website where the player can order various weapons through their PDA, and Ammu-nation will deliver selected weapons to their safehouse. Both Huang Lee and Wu Lee are listed on Grand Theft Auto IV in-game crime database, implying that they share the same universe as Niko Bellic. Official Nintendo Magazine described the game as "one of the largest, most complex DS games ever made", with 800,000 lines of code. Grand Theft Auto: Chinatown Wars is an entirely original entry into the critically acclaimed Grand Theft Auto series, and brings a new level of interactivity to its sprawling open environments. 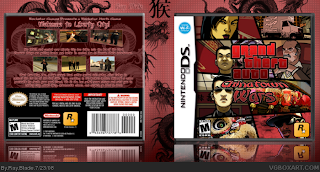 With the use of the DS touchscreen, players will navigate their way through the streets as they uncover the truth behind an epic tale of crime and corruption within the Triad crime syndicate, delivering the unprecedented amount of depth that has become a true trademark of the franchise. 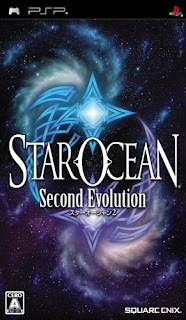 Following the exploits of humankind’s journey across the stars, the STAR OCEAN saga comes to life in the completely remastered STAR OCEAN: Second Evolution, exclusively for the PSP system. 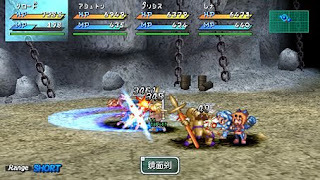 Now with a revised game engine, an improved battle system and fully voiced, all-new animated scenes displayed in 16:9 widescreen, players can experience their journey through the rich STAR OCEAN universe like never before. For those who are waiting to play this game,this is your chance.So,hurry up to the nearest store and grab one for your own today.You won't gonna miss it especially for the Star Ocean series lover. Do you think blogging is fun? If anyone seeks for greatness,let him forget greatness and ask for truth,and he [or she] will find both.
.:: All About My Journey in Life ::.